With its vicinity to Yellowstone National Park and the Beartooth Mountains, Cooke City offers activities for people of all ages, including fishing, hiking, camping, wildlife viewing and scenic drives, as well as snowmobiling and hunting. Based in Bozeman MT, renting Ski-Doo Summit 850 TURBO, Polaris 800 & 850, and Arctic Cat sleds, plus Teryx4, Moto ZForce, Can-Am Maverick and Polaris RZR UVTs. A historical remnant of Cooke City, this store has everything you need for your scenic tour of Montana. Fishing and hunting items always stocked! The Lodge is a "Montana Style" rustic but modern full service hotel. Creekside views, Restaurant, Saloon, free Wi Fi, DirecTV, public laundry. Located downtown Main Street. Located in the heart of the Beartooth Mountains, Cooke City is a recreationalist’s paradise. 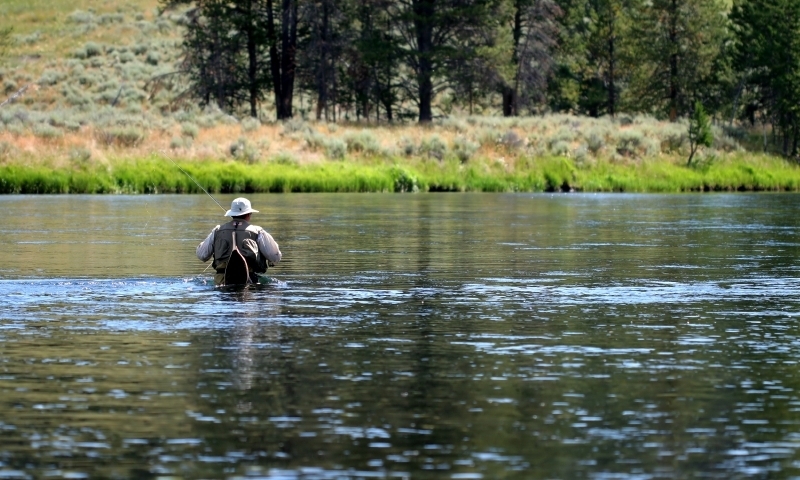 Here and the surrounding area offer amazing fishing, hiking, and wildlife viewing. Cooke City is also famous for it’s closeness to amazing scenic drives in the summer and world-class snowmobiling in the winter. With it’s abundance of sparkling mountain lakes and streams, Cooke City and the surrounding area offer some of the most amazing trout fishing in the state. Trout in this area range from brookies and rainbow to native cutthroat. Possible fishing areas include Beartooth Lake, Yellowstone Lake, Yellowstone River, Soda Butte Creek, Slough Creek, the Lamar River, and various alpine lakes. Pay special attention to carrying the appropriate fishing license—Cooke City is near the boarders of Montana, Wyoming, and Yellowstone National Park, all of which require a separate license. With the Gallatin, Shoshone and Custer National Forest, as well as the Absaroka Beartooth Wilderness and Yellowstone National Park in its back yard, there are several hiking possibilities in the area around Cooke City. There are prospects for both day hikers and mountaineers with trails ranging in length of less than a mile to 30 miles, plus. There are several areas to camp around Cooke City, including many in the Public Lands listed above. Some designated campgrounds along Highway 212 near Cooke City include Colter Campground and Soda Butte Campground. When camping, be conscious of animals in the area, remember you are near the Lamar Valley that is home to a large population of wildlife. Cooke City’s closeness to the Lamar Valley offers easy access to amazing wildlife viewing opportunities. 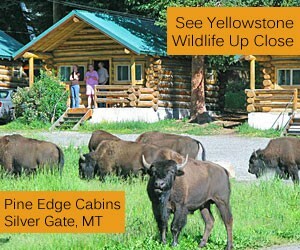 This area of Yellowstone Park is known for it’s high populations of grizzly bears, coyotes, elk, wolves and bison. From time to time, these animals even wander right into Cooke City. The Beartooth Highway, Chief Joseph Scenic Byway, and Yellowstone Park have unbeatable vistas and amazing natural attractions for visitors who want to take a day ride—whether in a car or on a motorcycle. Cooke City’s breathtaking landscape creates the perfect venue for horseback riding. Several companies offer guided trips through the Beartooth Mountains, where visitors can enjoy the untamed scenery and incredible wildlife. Whether or not you’ve ever been on a horse, these tours offer day rides and pack trips for the whole family. Cooke City is well-known for it’s world-renowned snowmobiling. People from around the world come here to sled in the deep snow and explore spectacular scenery. With access to several steep mountains and miles of national forest lands, this area is a snowmobiler’s dream. During hunting season, there are several guided hunts available to visitors. Here, visitors will have the opportunity to hunt elk, deer, bears, moose, and sheep in the prime wilderness of the Beartooth Mountains.